In pre-Christian Ireland the festival of Imbloc signaled the beginning of spring time, with longer and warmer days. 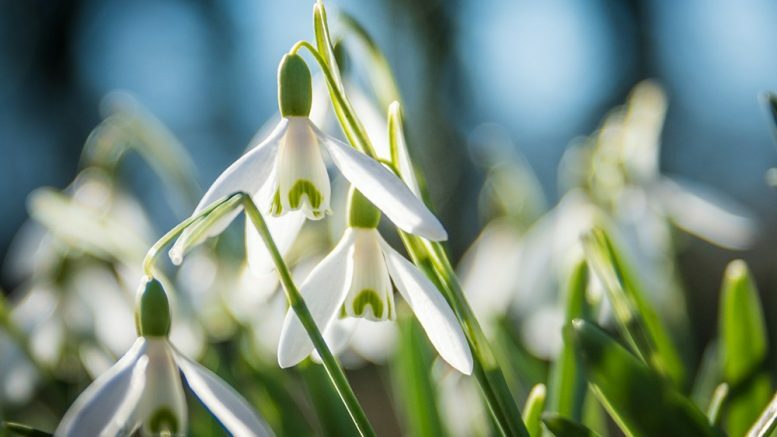 The word Imbolc is from old Irish, ‘i mbolc,’ meaning in the belly. Occurring during lambing season its believed ‘in the belly’ is reference to the pregnancy of ewes (female sheep). Imbolc makes up one of four Celtic cross-quarter festivals. The others being Bealtaine, the beginning of summer; Lughnasadh, the first harvest; and Samhain, the beginning of winter. The festival was mostly observed in Ireland, Scotland, and the Isle of Man but today its popular throughout the world. In Ireland the festival had significant importance during the Neolithic period, evident from the alignment between Megalithic monuments and the sun rise during Imbolc. With winter behind them marking the rebirth of the sun was important. It was the start of a new agricultural season and when the colours of Irish landscape would change. Those who did survive the winter would be thankful for the lighter and warmer days ahead. Most celebrations around this time of year would involve feasting and making an offering for the Celtic goddess, Brigid. As a goddess of healing and fertility she is the daughter of Dagda of the Tuatha Dé Danann in Irish Mythology. In pre-Christian times people would flock to healing wells during the celebration of Imbloc. Pilgrimages to such places involved the practice of walking clockwise around healing well or a wishing tree located close by. People would bring strips of cloth to be dipped into the well then tied to a branch of the tree. When Christianity spread throughout Ireland it gradually replaced the pagan beliefs. Important days in the pagan Calendar, such as Imbloc, were replaced by Christian dates. Imobloc was replaced by the feast day of St Brigid, who was the possible Christian version of the Celtic goddess Brigid. Another important ritual replaced under the Christianisation of Ireland was the pilgrimages to healing wells. Not much changed for these pilgrimages, people still walked around the well while saying prayers, and tying the cloth to branches of a tree. To this day pilgrimages to holy wells such as Doon are still popular, considered an important tradition for devout Catholics.